›The Cutting EDGE Frosted Ruler-9-1/2"X9-1/2"
The Cutting EDGE Frosted Ruler-9-1/2"X9-1/2"
SULLIVANS INTERNATIONAL-The Cutting Edge Frosted Ruler. 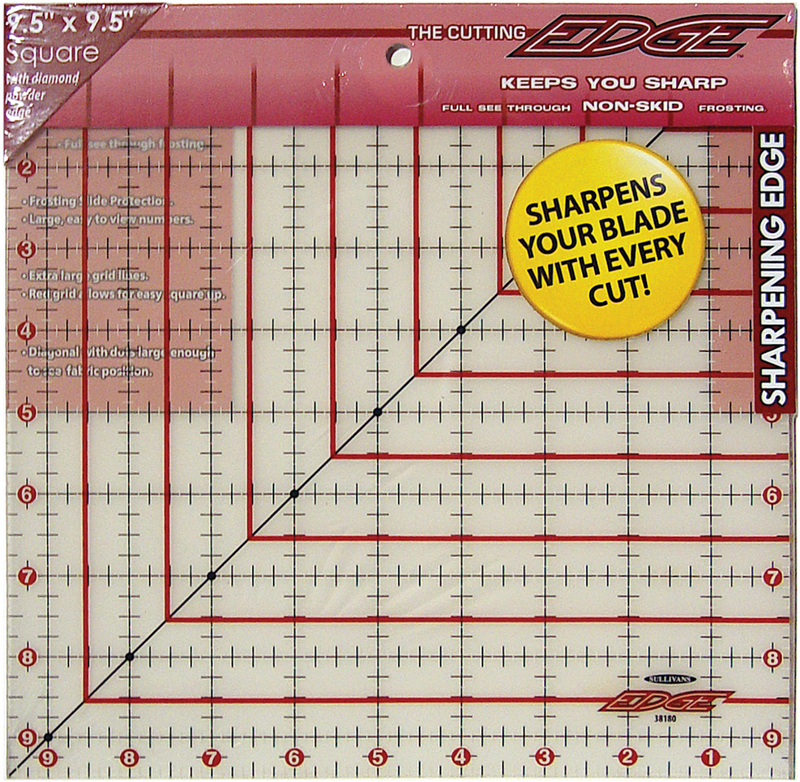 Keeps you sharp so you never lose your EDGE! The diamond powder edge maintains the sharpness of your rotary blade as it spins. Full see- through NON SKID frosting keeps the ruler from sliding and makes it light enough to see your fabric through it. A unique red grid system highlights the 1/2 markings, use both lines to square up blocks or to cut squares effortlessly. Large numbers make for easy visibility that never blends into the fabric. Very light 1/8 markings do not distract when using the most common 1/4 markings. This package contains one 9-1/2x9-1/2in frosted ruler. Imported.